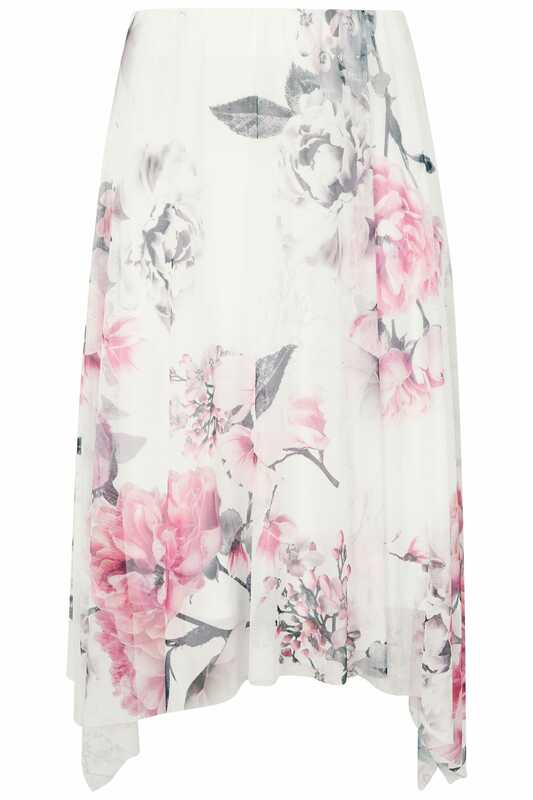 Create elegant style with this stunning skirt. 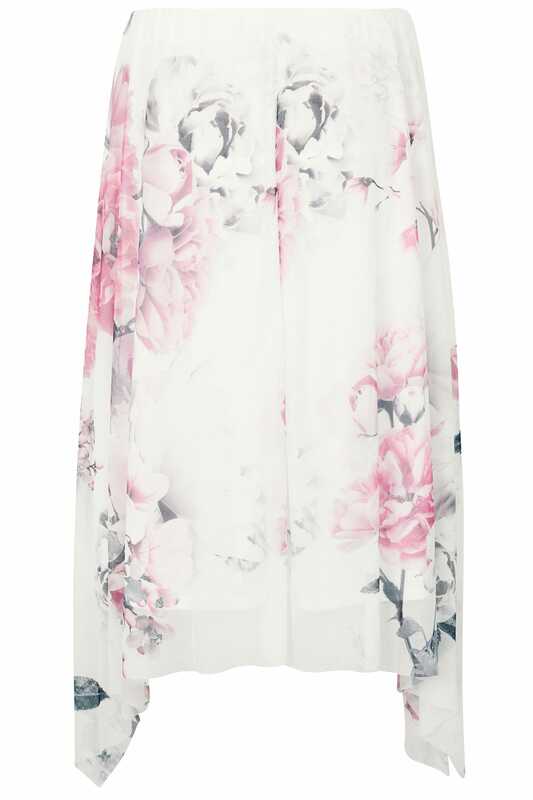 Cut to a midi length with a hanky hem, it features a mesh overlay with a fabric lining and an elasticated waistband for the ultimate comfort. For an eye-catching look, style with a woven top and a pair of high sandals. 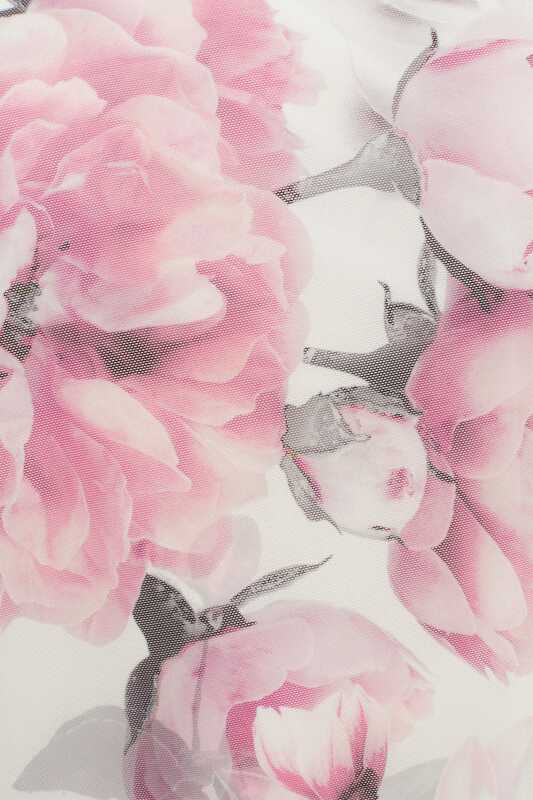 We love the splashes of pink in the floral print.